No matter where you are in the world, unexpected adventures are always a good thing. Such was the case with last weekend’s day trip, our first into Tokyo. We planned to stop first in Ikebukero, a district in west Tokyo, to find a Taiwanese restaurant that specialized in vegetarian dishes. We’re still traveling without smartphones, so all we had to go off was some loose directions from a website and the city maps at the Ikebukuro train station. 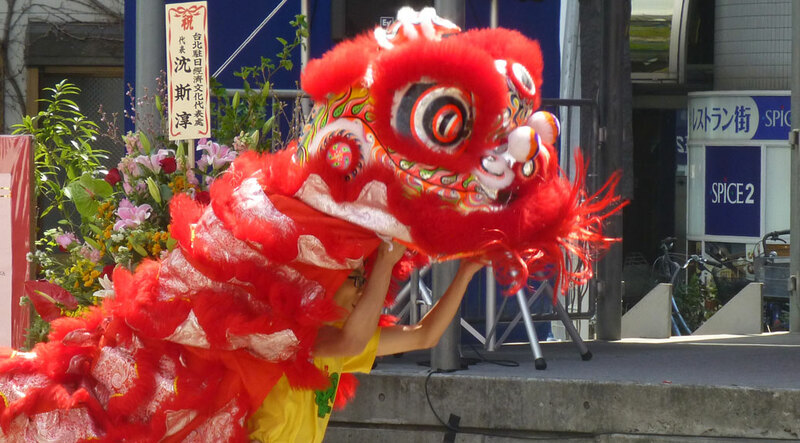 We started walking and, within a couple blocks, stumbled upon a festival celebrating Taiwan and its heritage. 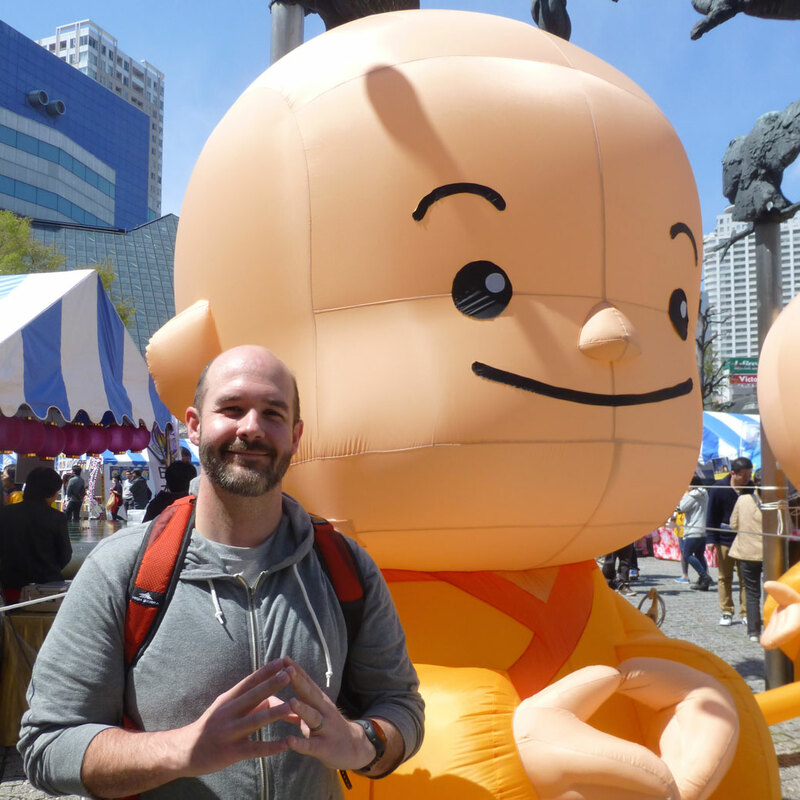 There were even inflatable replicas of yours truly! Which one is real and which one is inflatable? We looked at a couple vendor stands, listened briefly to what must have been the opening address and then headed out in search of our restaurant. As with many of these uncharted trips, we didn’t reach our destination. We’ve yet to figure out the street numbering convention. At present, I’m convinced it’s the worst way to identify addresses in the known universe. Check back in a couple months and maybe I’ll have a better attitude. 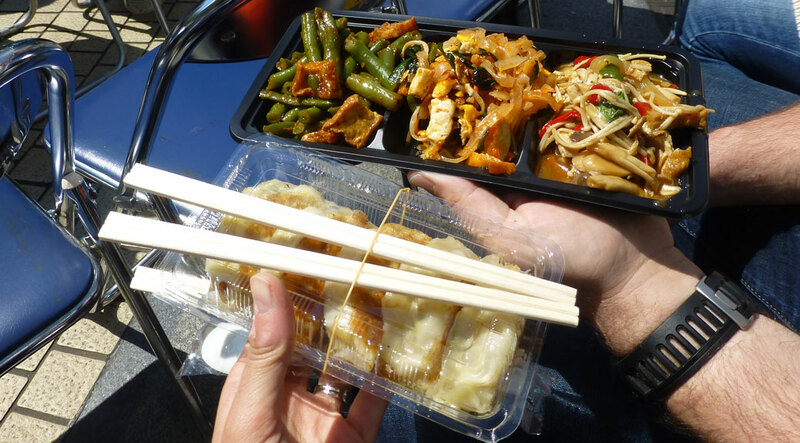 Fortunately, the festival had two booths serving exactly what we were in search of: Taiwanese vegetarian food! And even better, we finally found vegetarian gyoza! Those little pan fried, stuffed dumplings are so good, but usually so filled with pork. It was easily the best purchased meal I’ve had since we’ve arrived in Japan. 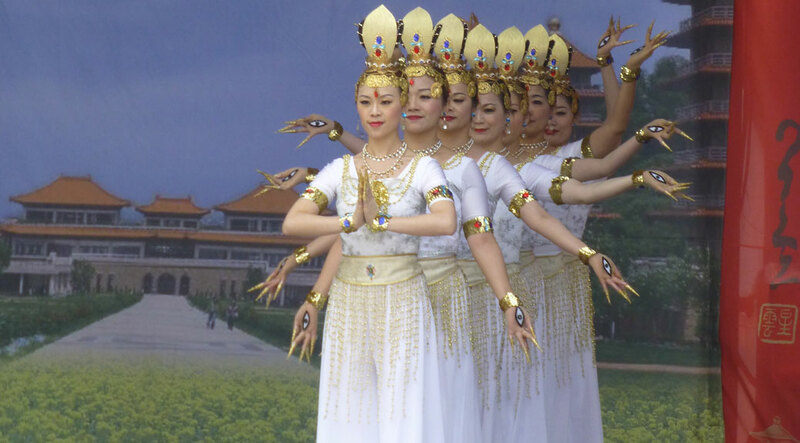 The festival also featured some amazing entertainment. All performed by young people, it was impossible to take your eyes off the stage. 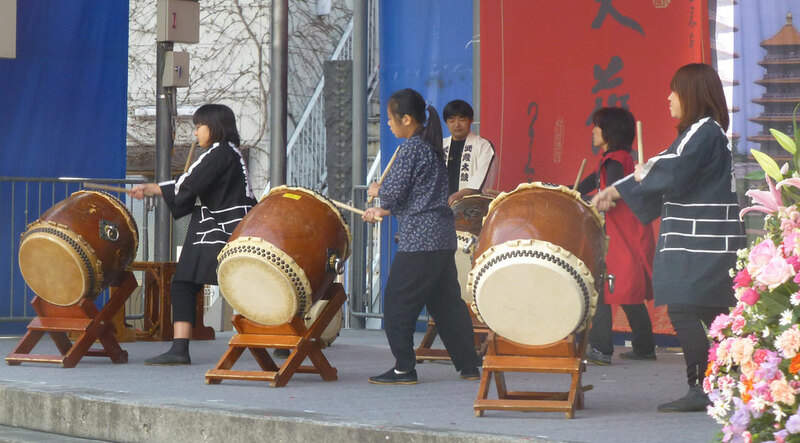 A group of pre-teens pounded out the beautiful rhythm of taiko drums. These young men and women put on an exciting display of dragon wizardry. These beautiful young ladies entranced the crowd with their choreographed dance. At the end of the show, we headed back to the station and caught the next train to Ueno Park to see the cherry blossoms in full bloom. You can read Viktoria’s post on the magic of sakura and the geisha picnic. 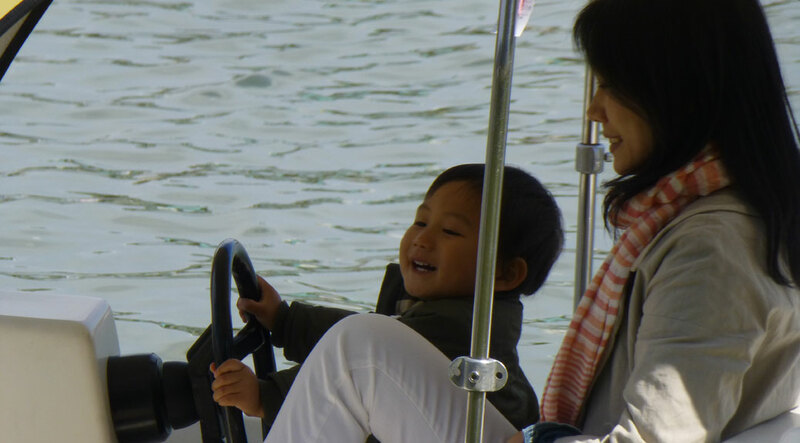 We took a lap around Shinobazu Pond, where children of all ages peddled and rowed their way in rowboats, paddleboats, and swan boats. We’ll definitely be back to Ueno Park to visit the National Museum and some of the other sights in the area. Your camera is doing a good job. It certainly isn’t the photographer in my case! Instead of point-and-shoot, it’s point-and-pray! Loving your posts and pics. Great message! You ended up where you wanted to be even if it wasn’t where you intended. Thanks, now I’m hungry for gyoza! Sans pork, if you please!